Nest made both its Nest Hello smart doorbell and its Nest x Yale Lock available earlier this month. 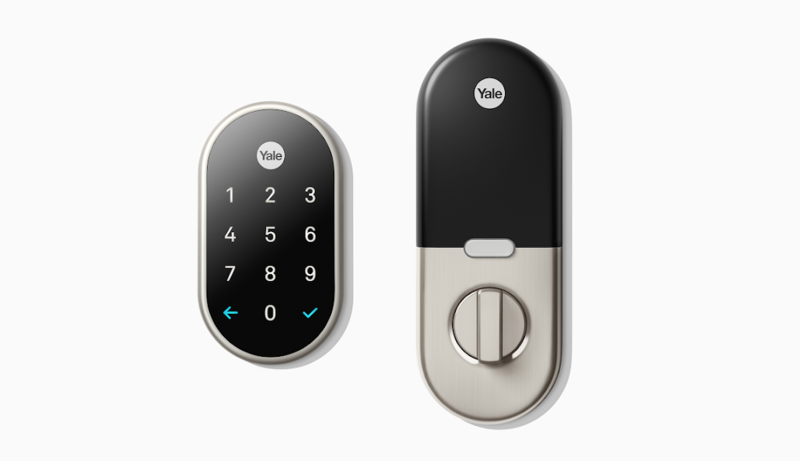 The Nest Hello went up for sale on the Google Store about a week ago, and now it's the Nest x Yale Lock's turn. The keyless lock can now be purchased for $279 from Google's storefront. The Nest x Yale Lock finally arrived this month after massive delays, and its main differentiator from other smart locks is that it doesn't have a keyhole anywhere. Nest is actually saying this is advantageous, as you won't have any keys to lose. Instead, you have to use the keypad. You can set passcodes for guests with expiration times, get alerts when the door is locked or unlocked, and have your door automatically lock when Nest detects you're not home. Nest will sell you one of these for $249, with a $30 additional charge required to use Nest Connect, but Google only offers the Nest x Yale Lock with one tier level at $279. It's not explicitly stated that this lock has Nest Connect on board, but the features advertised on the product page make it seem that way. You can pick one up in Satin Nickel, Oil Rubbed Bronze, or Polished Brass.